Winston created our Australian Tap Dance Festival in 2012 after being transformed by life changing tap festivals and events in his tap trips to America since 2008. He took the best elements like the residencies, discussions, evening events, the family atmosphere, live musicians, performance opportunities and inspirational mentors to create this amazing festival experience with Australian and international talent for our community to enjoy here in Australia. Winston is the founder of Melbourne Tap Dance and the Australian Tap Dance Festival. 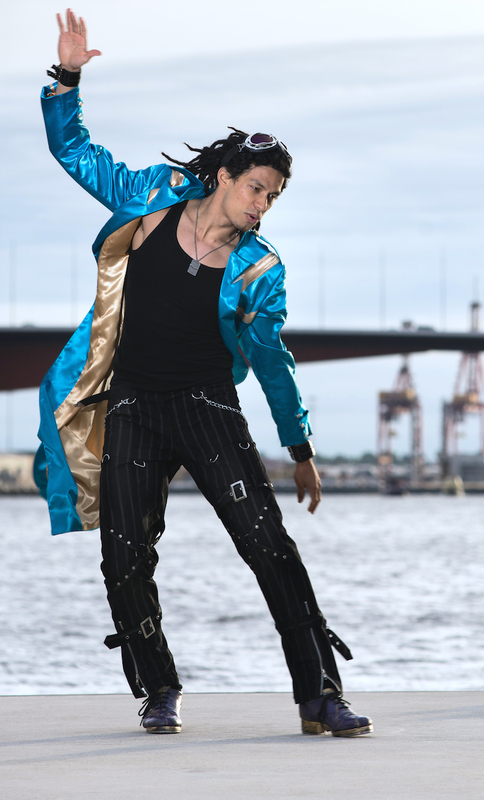 He has had the pleasure of performing solo internationally at the Montreal Tap Festival, New York City Tap Festival, and teaching at New York's Broadway Dance Centre and studios in Italy, France, Austria, Croatia, Czech, UK, New Zealand , Spain, Germany, Switzerlland, United states and Canada. Also a musical director pianist and dancer in many other styles, he brings this knowledge and musical sensitivity to his expression, classroom and shows. Through his own experiences, observations and learnings from teachers across various disciplines, he has developed distinctions that create a freeing sound and movement experience. His tap dance style is musical, visually dynamic and soulful. Dancers in Winston's masterclasses will be moved towards an even richer sound and movement experience influenced by a range of masters, feelings and music. Specific ways to enhance footwork and rhythms with techniques taught to him by Ted Louis Levy, Dianne Walker and Barbary Duffy. Dancers will access that freeing, flying feeling when they move and take the time to get specific about the counts and what to emphasise. Special musicality classes will look at music theory and notation, syncopation and feels, time steps, subdivisions, phrasing and tune structure, how to tap with live music, as well as getting to play with jazz standards and getting out of your own way with purpose when improvising.